This shear is lightweight, with well-balanced blades, easy dial tension adjustment, and a removable finger rest. It's extremely sharp and has a beautiful titaium rainbow coating. 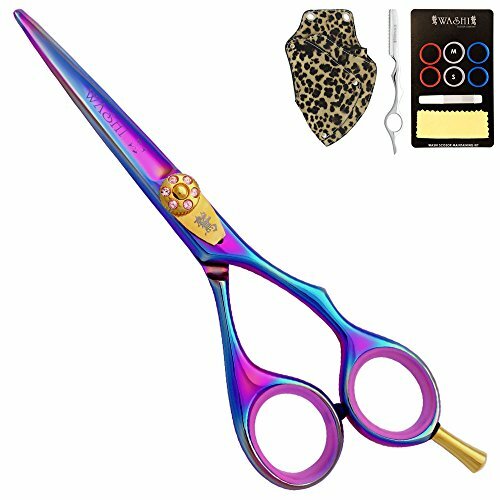 If you have any questions about this product by Washi Beauty Shears, contact us by completing and submitting the form below. If you are looking for a specif part number, please include it with your message.